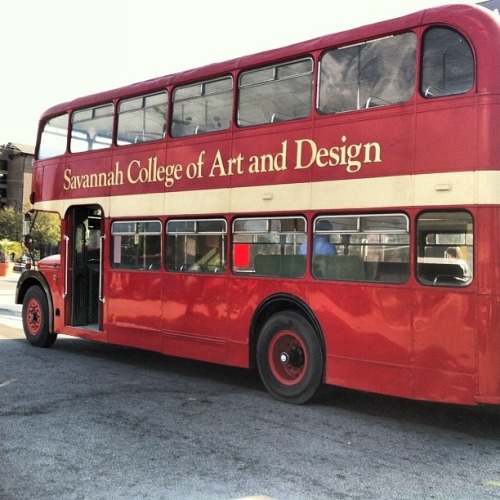 Savannah is a great place to live and visit; I moved to Savannah in 1990 and attended Savannah College of Art and Design (SCAD). I remember the summer of 89′ visiting the city and taking the college tour on the double decker bus riding along the city streets with palm tree and old oaks filled with Spanish moss thinking “this is beautiful.” Between the wonderful art program, the beautiful city, close proximity to the beach I was hooked! Spent almost 13 years living in Savannah before I moved to Atlanta but yet still go back to visit family, friends and the city I love. As a local you tend to see your city in a different light and over the years I’ve been asked countless times where to stay, what to do, and most importantly what to eat! Here are a few of my suggestions but please feel free to send me your specific inquiries if you are planning a visit soon. A few of my top picks but Savannah really does have a unlimited amount of culinary delights. For more information click on the picture to be taken directly to their site. I remember when in college the original location for Lady and Sons was a littler further west on Congress Street and Paula Deen and both her boys would work the restaurant. We would go there on Saturdays or Sundays after a weekend of partying to eat up the brunch buffet for a little hang-over cure. So I don’t go to the new location now, it just won’t stack up to what my memory holds. Deep Sea Fishing is wonderful off the cost of Georgia. The Gulfstream is a 45 min boat ride but well worth the trip. Book a trip and catch your own fish of the day! Or head out to Ossabaw Island for some native historical tours. While not considered “family friendly” it is one of the best shows in town! The Lady Chablis only has a few shows per year now so catch her while you can. Otherwise the other ladies do a great job carring on the torch. Check Club One’s site for show times and dates. SCAD events are always family friendly and some of the most fun you can have in the city. Sidewalk Art Festival is held each year in April and the Sand Arts Festival is also held in April and sometimes early May. Bonaventure cemetery is one of the oldest graveyards in the US. The headstones and park are truly breathtaking and loaded with history. There are several tour companies that will take you there but you can visit on your own if you have transportation. City Market always has something going on, festivals, live music and carriage rides. During the Civil War a majority of Savannah burned down taking numerous lives in its fire. It is well known that Savannah is haunted and there are several companies that offer walking and driving tours. Cumberland Island is a National Park and the largest Georgia barrier island. You can get there by ferry from St Mary’s Georgia and spend the day learning about the history of the undeveloped natural habitat. There are many types of nature living on Cumberland including wild Feral horses and sea turtles. I recommend a day trip if you love nature and history. Wormsloe is a Georgia State Park and is a bit of a drive to southside Savannah but I highly recommend taking a picnic lunch and enjoy the beauty and history of this site. I went to SCAD. I adore Savannah and miss it dearly. I come back for a visit whenever I can manage. Thanks Roni it really is a wonderful city and amazing college! Yeah I move there for graduate school didn’t know a soul! I had the best time of my life.